All songs featured in this page were written by Brian Holland, Lamont Dozier and Edward Holland, Jr. (Holland–Dozier–Holland), with lyrics by Edward “Eddie” Holland, Jr. All recordings featured in this page were produced by Brian Holland and Lamont Dozier. 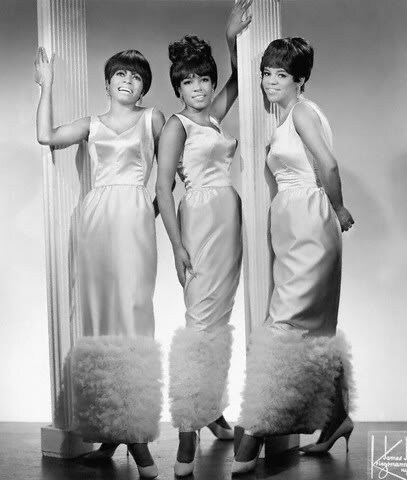 The Supremes — Motown single M 1074, b/w I’m In Love Again (Holland–Dozier–Holland), released on 8 February 1965. Singles charts: #1 — Hot 100, #2 — Hot Rhythm and Blues singles (new Billboard chart), and #1 — Cash Box pop singles. 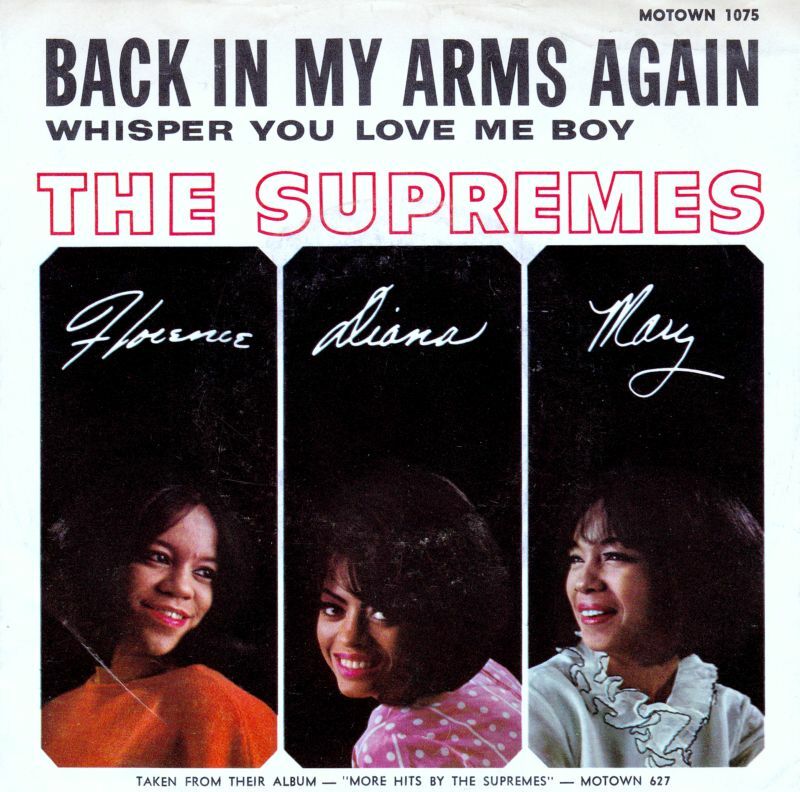 The Supremes’ choreography for this song, with one hand on the hip and the other outstretched in a “stop” gesture, is…legendary. 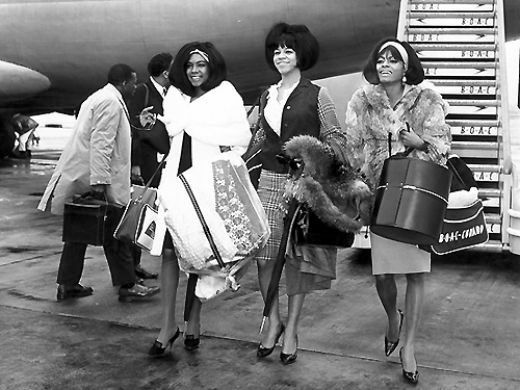 Paul Williams and Melvin Franklin of The Temptations taught the girls the routine backstage in London, before the Supremes’ first televised performance of the single on the Ready Steady Go! 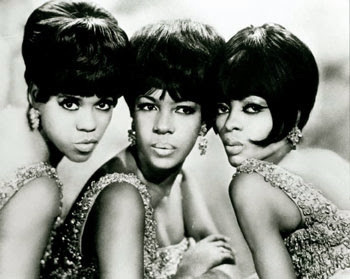 special “The Sound of Motown,” hosted by Motown enthusiast Dusty Springfield. They also performed the song on an episode of the ABC variety program Shindig! which aired on Wednesday, February 25, 1965. In the dressing room, the Supremes and Diana in particular needed some dance moves for Stop! In The Name of Love and begged The Temptations for some inspiration. Paul Williams made a hand move like a traffic cop and it stuck. Some say it was Melvin Franklin. It became a trademark move though. 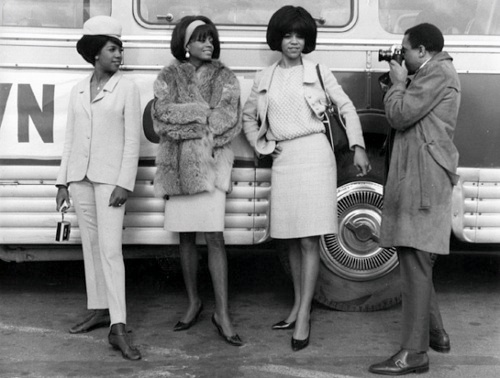 So the routine that was supposedly taught to the Supremes backstage before the taping of the Ready Steady Go! special was known and used by them more than three weeks earlier in the Shindig! peformance, and then again for an episode of Shivaree that was aired five days before the Ready Steady Go! taping. 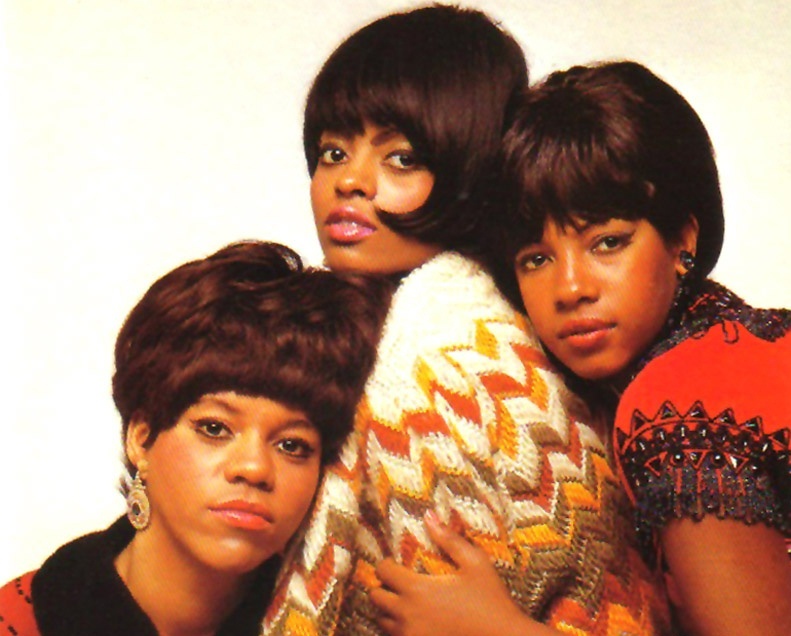 Included on their third album, Dance Party, “Nowhere to Run” hit number eight on the Billboard Pop Singles chart, and number five on the Billboard R&B Singles chart. It also charted in the UK peaking at number twenty-six on the chart. 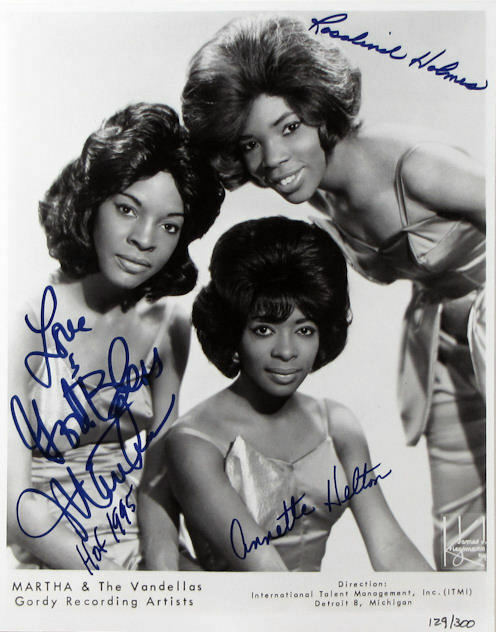 On the album in which this single appeared, More Hits by the Supremes, and on the cover of the official single, each member is pictured separately on the front, with her signature above it. 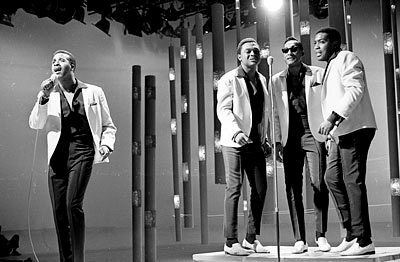 The group first performed the song nationally on the NBC variety program Hullabaloo! 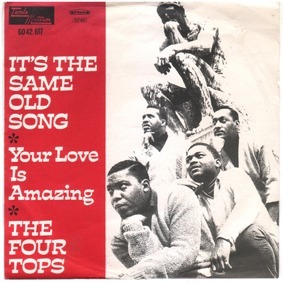 [sic]  on Tuesday, May 11, 1965, [and the single peaked] on the music charts in the following weeks. (below) In this construction, the video artist replaces the original live audio (see video directly above) with the single, in HD. The song reached number one on the R&B charts and was also the number-one song on the Billboard Hot 100 for two non-consecutive weeks,. from June 12 to June 19 and from June 26 to July 3 in 1965. 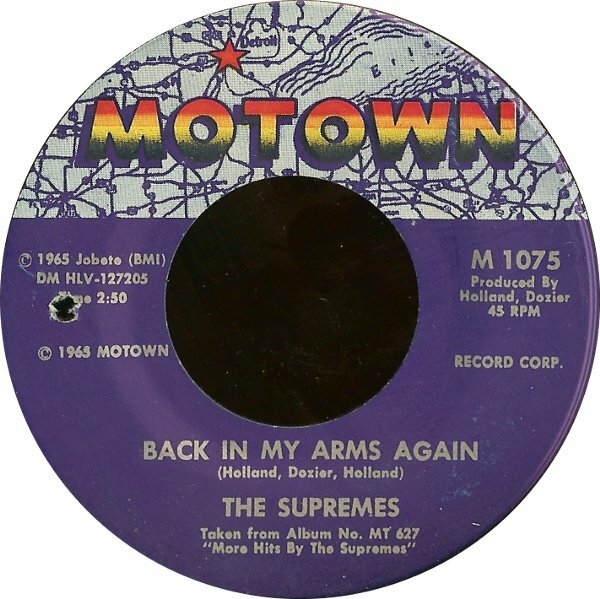 It replaced “Back in My Arms Again” by labelmates The Supremes, was first replaced by “Mr. Tambourine Man” by The Byrds, then regained the top spot before being replaced by “(I Can’t Get No) Satisfaction” by The Rolling Stones. 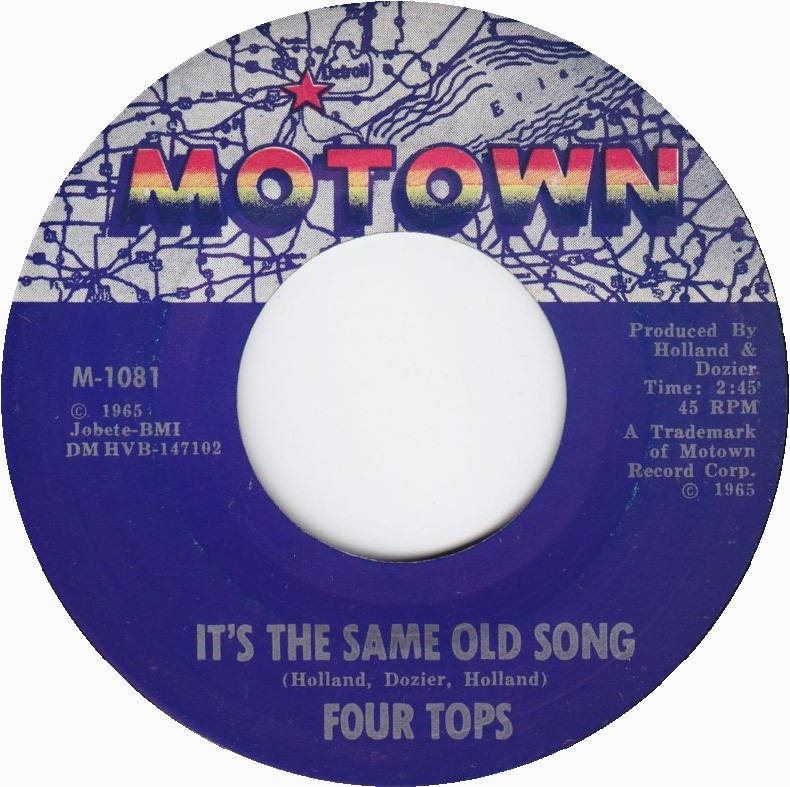 The Four Tops — Motown single M 1081, b/w Your Love Is Amazing (Holland–Dozier–Holland), released 9 July 1965. Chart success: #5 — Hot 100, #2 — Billboard R&B singles. 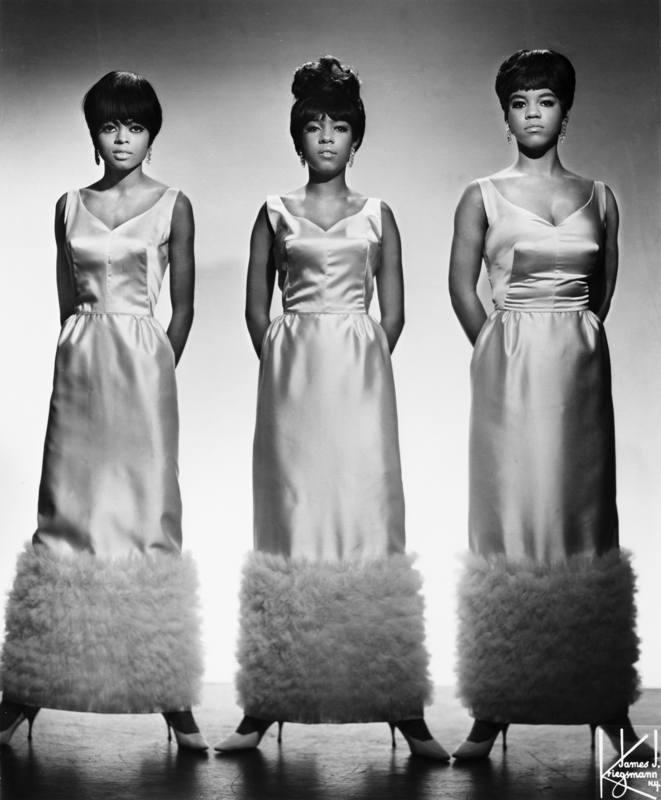 The Supremes — Motown single MT 1080, b/w He Holds His Own (Holland–Dozier–Holland), released 16 July 1965. Peak chart positions: #11 Hot 100, #6 Billboard R&B singles, #8 Cash Box pop singles. 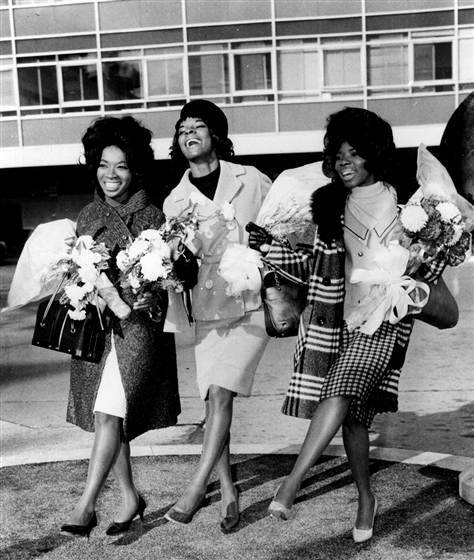 It ended the string of five consecutive #1 singles by the Supremes. 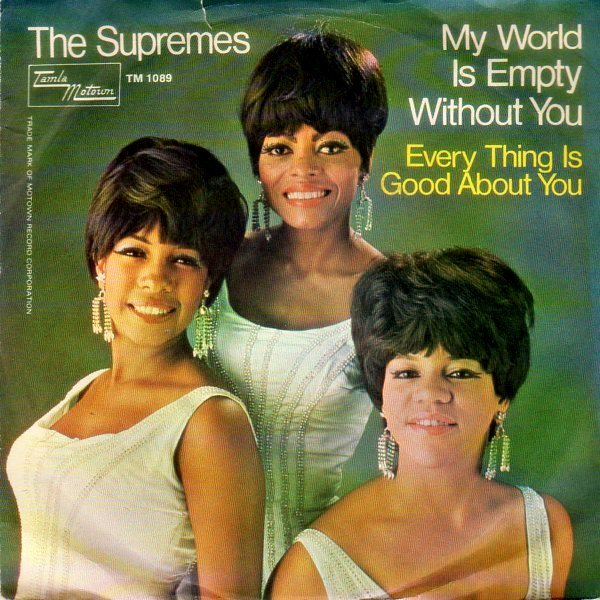 We will release nothing less than Top Ten product on any artist; and because the Supremes’ world-wide acceptance is greater than the other artists, on them we will only release number-one records. 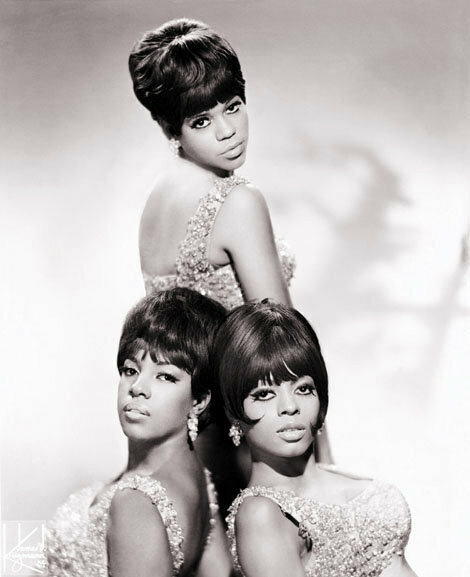 Chart success: #1 — Hot 100 (for two weeks from November 14, 1965 through November 27, 1965. ), #2 — Billboard R&B singles, #1 — Cash Box pop singles. 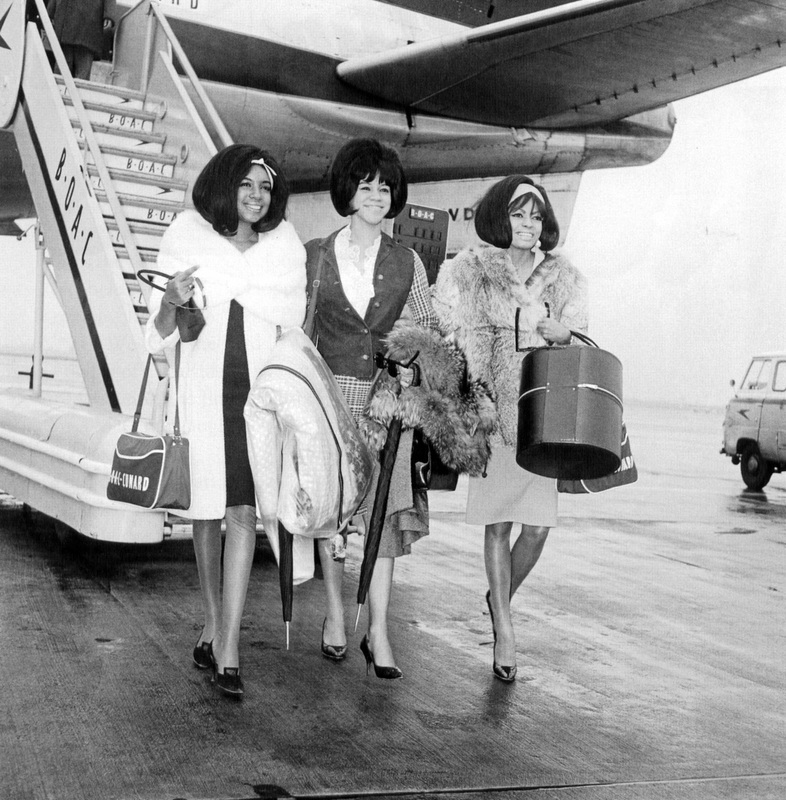 It was the sixth number-one hit single by the Supremes.